Our product range includes a wide range of yupobrite eco-friendly print media. YupoBrite Wide Format Media is an innovation in the digital print industry that aims to reduce the dependency of printers and end users of wide format media on PVC-based products. At YUPOBrite, we address the demands of environmentally conscious customers and are taking aninnovative step towards a sustainable and greener planet. 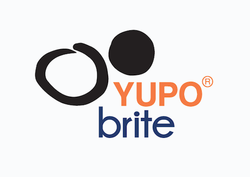 YupoBrite is a joint initiative of YUPO Corporation Japan (a subsidiary of Mitsubishi Corporation Japan) and Brite Coatings India. Our joint effort provides a new environmentally safe, recyclable, non-toxic alternatives to flexible PVC Films. and other conventional printing platforms. Superior resistance to water, grease, acid and alkali chemicals, making it highly durable for demanding applications. The film can simply be sold to rag pickers or to recycling agencies which will be able to process and reuse the material for other applications. We can facilitate the recycling of the film to use and recycled resin as raw material to make dustbins, chairs, tables, Standees, flowerpots etc. with your customized branding. Can be sent to a landfill without the fear of any chemicals leaching into the soil unlike PVC which is very dangerous to dispose. Can be incinerated, as it does not release any toxic chemicals into the atmosphere. With the recent ban of PVC Flex and Vinyl in the state of Karnataka and other states following the same steps soon. The demand for Eco-Friendly print media is on the rise, we have an alterative for all your print requirements and have the capabilities to talior make different products. Looking for YupoBrite Eco-Friendly Media ?